Greetings, Stampers! I'm always happy when a stamp set I already own has made it into the newest Stampin' Up catalog. 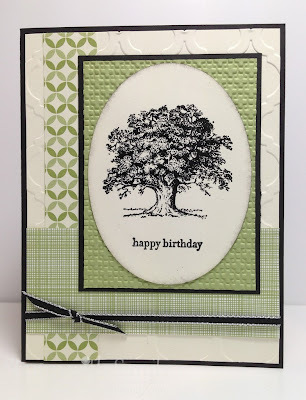 Today I'm using two old favorites, Lovely as a Tree and Teeny Tiny Wishes. I freshened them up a bit by combining them with some new colors, designer paper and a new embossing folder. I needed a birthday card for my brother and had decided on which stamp sets to use, but I wasn't sure about the colors. Dynamic Duos to the rescue! 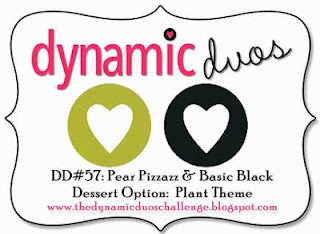 These colors were perfect for a masculine theme, and there is a desert option of a plant theme to boot. Perfection! 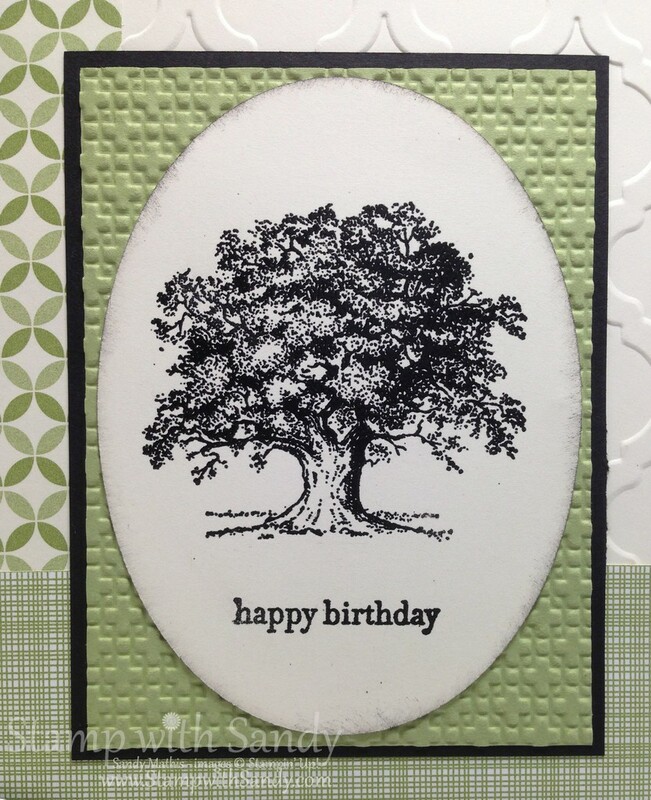 The image and sentiment were both heat embossed with black embossing powder for nice, deep color with a little shine. 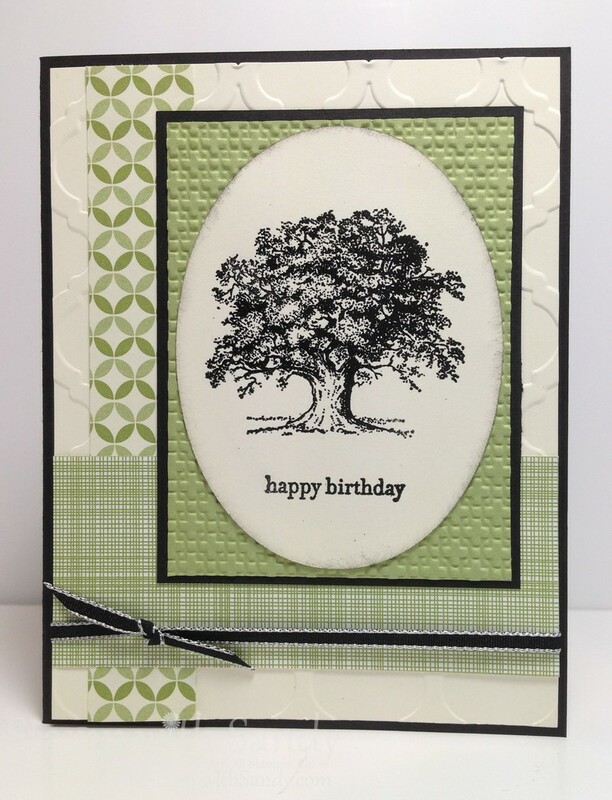 I used several Big Shot items: my Ovals Die, Square Lattice Embossing Folder and new Mosaic Madness Embossing Folder. The designer series paper is called Gingham Garden. Thank so much for stopping by today and I would be ever so happy if you left a comment! Beautiful, Sandy! These SU! trees have always been in my Top Ten Favorite Stamps!! Beautiful, masculine and even a little vintage! Love it!